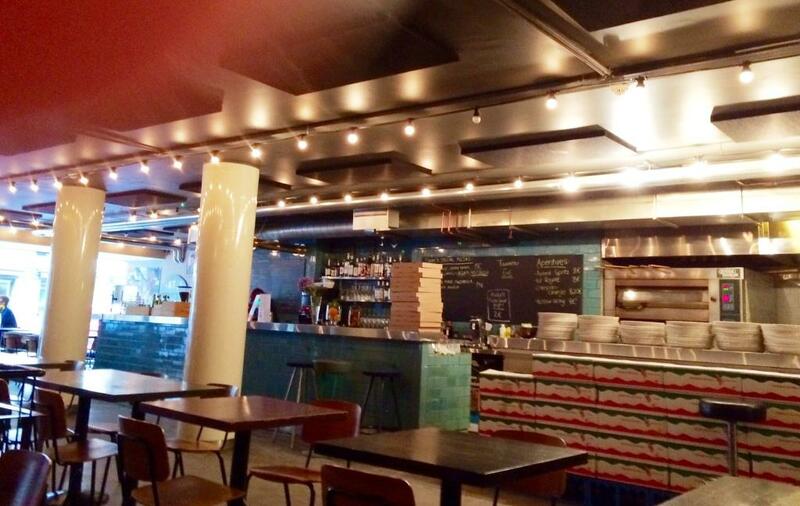 Putte’s Bar & Pizza is located in the center of Helsinki city at Kalevankatu. It is easy to walk past, because there is only small signboard telling the existence of combination of bar and nightclub. Interior is also unpretentious, even rugged. We arrived between lunch and dinner time and for a while the bar was almost empty, more staffer than customers. I am not sure, if this affected the quality of pizzas, but have to say waited something else. Expectations were quite high because couple of local journals (for instance Nyt) had chosen pizza’s of this place the best ones in the city. Pizza list is short and it should change regularly. 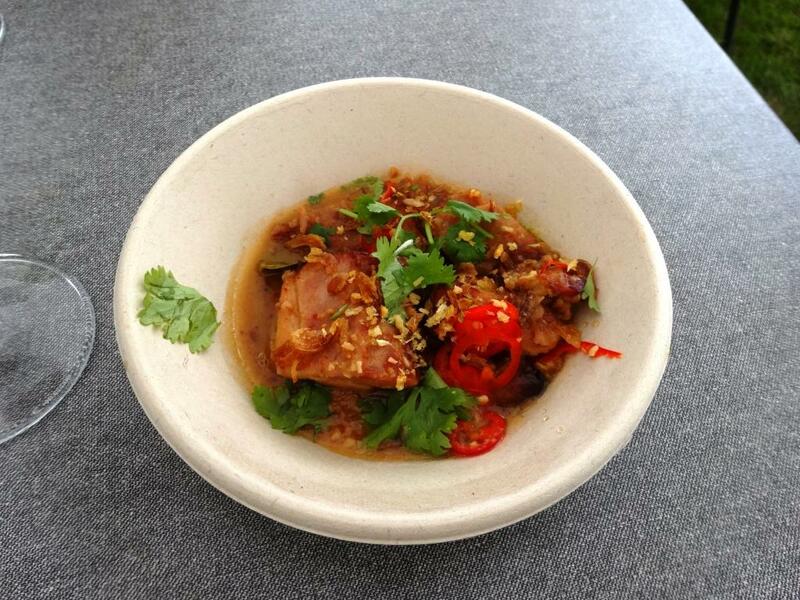 Ingredients seemed to be creative and even some names like Silence of the Lambs (remember the movie….?). Positive thing is that mozzarella used comes from Italy. Story also tells that pizza base is unique and made from best flours after detailed studies in Italy and USA. We chose Salami and Funghi pizzas. 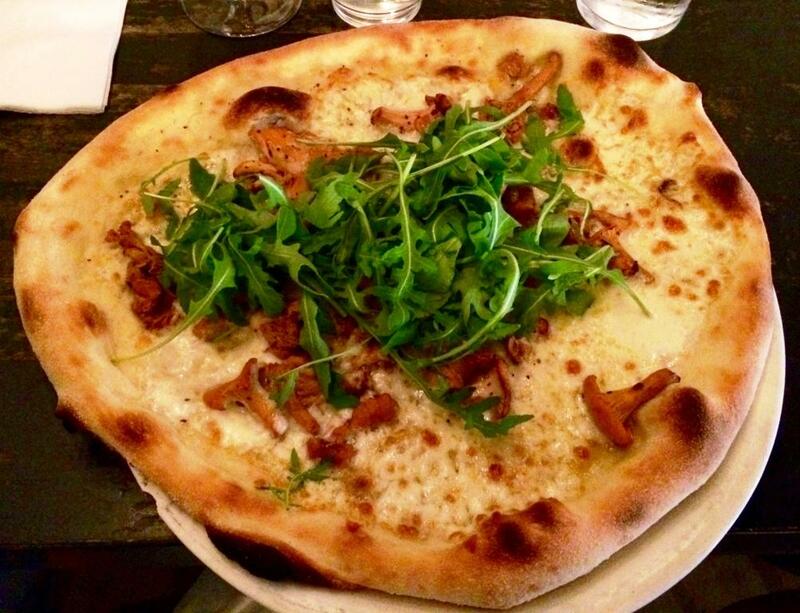 Appearance of the pizza’s seemed to be delicious but…. Salami Napoli (was it, I am not sure?) pieces were quite thick and some parts tasted too much for pepper. Or was there too much pepper in some parts of pizza base? 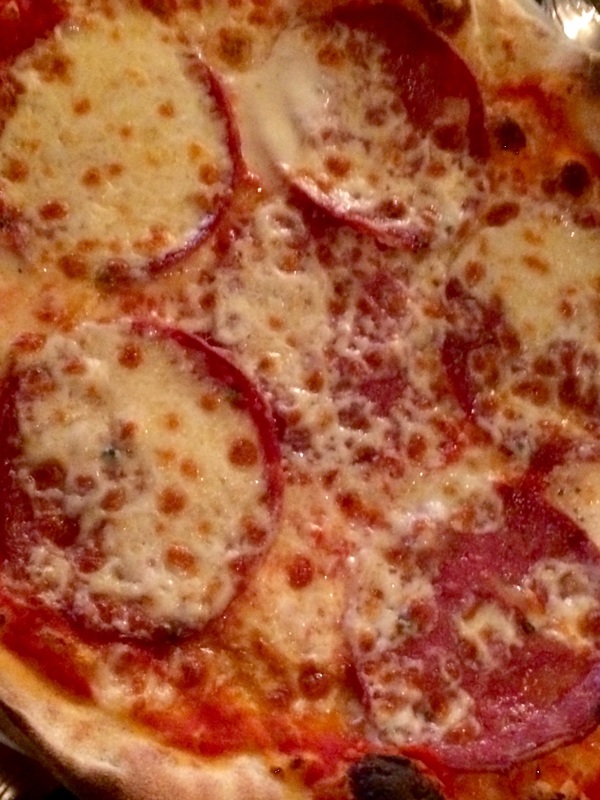 Anyway, on the pizza base there was too much salami, tomato sauce and cheese, which made the pizza quite pulp. 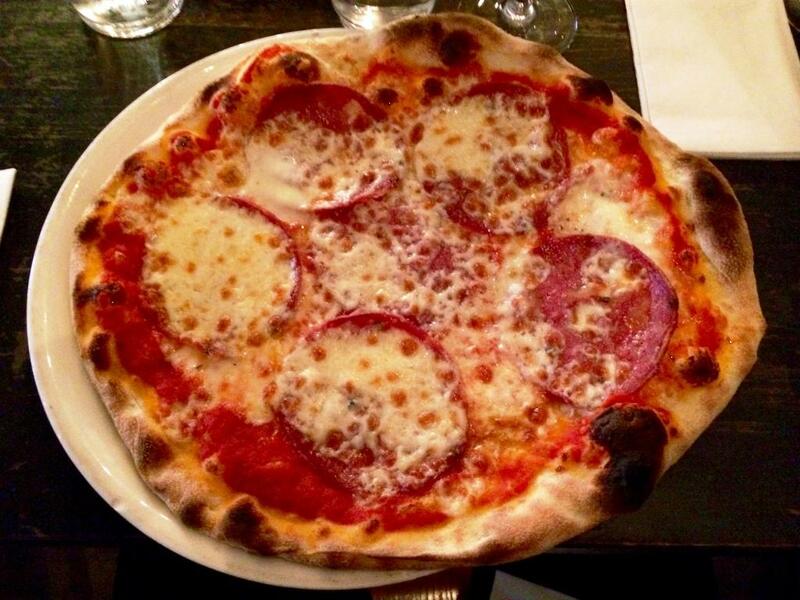 I would rather use Salami Picante in this type of pizza in order to add some flavor. Mushrooms were replaced by chanterelles which might sound sumptuous. But as all “funghi’s” were complete, even the big ones, chewing of them was not so pleasurable. Rucola was fresh and good-looking, sometimes this salad can be too thin and contains mostly rucola arms. Putte’s Bar & Pizza is primarly bar and hot spot. Pizza’s are add-on and actually only food you can get. Wide wine list raises overall grade. That is not typical for pizza places. Had excellent glass of Ripasso with salami pizza. As you have to order pizza and drinks mainly from the bar counter, have not reviewed service. However, we were served by three different waitresses/waiters behind the bar and when pizza’s were brought to the table. These encounters were likeable. 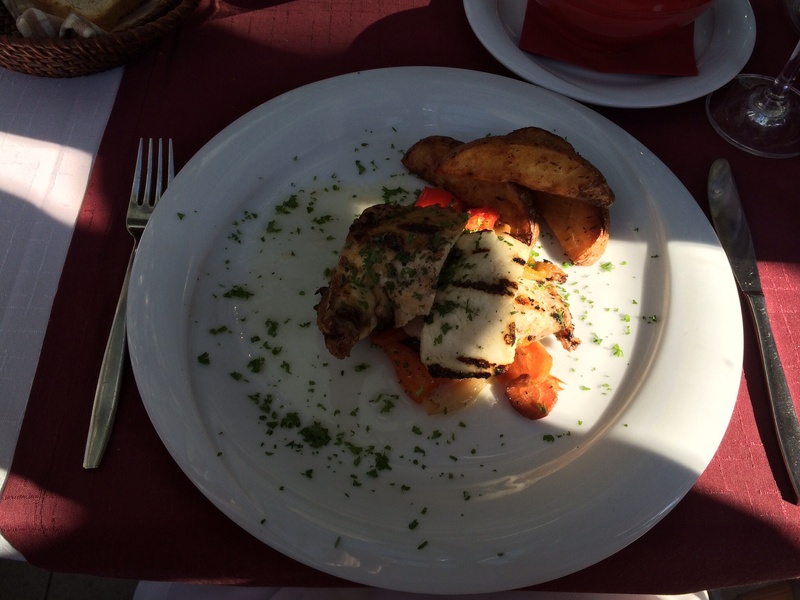 Restaurant Minos is over 25 years old restaurant which serves traditional Greek food. Clear proof of authenticity is language used by waiters/waiteresses; they talk to each other in Greek. Minos has pleasant covered terrace which can be used also in winter time, as it is heated. We always choose to dine there because you can observe by-passers at the same time. In the summer Minos has it’s own spot in popular Kamppi shopping center terrace area serving Greek wines and Mythos beer. We started our journey to Greece there. Unfortunately photos are not the best quality because in bright sun shine some shadows covered parts of the portions. 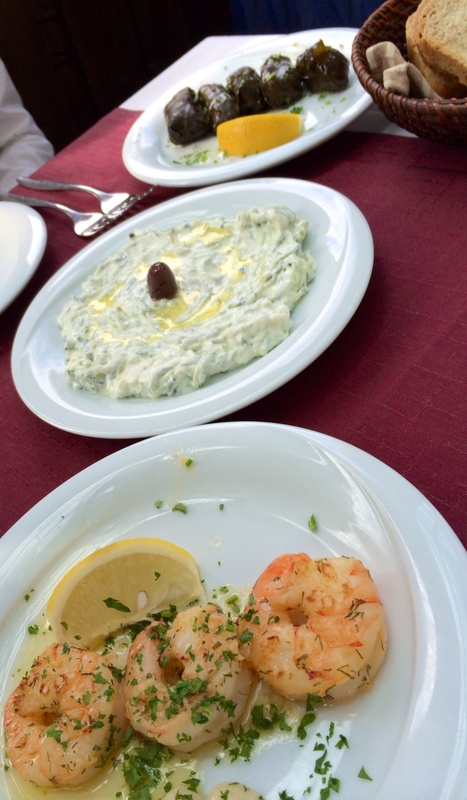 For starters we chose of course Tzatziki yoghurt and cucumber salad, Dolmades vine leaves stuffed with rise and herbs and this time also Tiger prawns fried with garlic, butter and white wine. Greek starters are always delicious, still miss taramosalata from holidays, but unfortunately it is not available at Minos. Tzatziki was made from genuine Greek yoghurt, not from Finnish or German and therefore really enjoyable. You can purchase similar dolmades from supermarkets in tins but so what, they were excellent. Only three prawns 😦 could have eaten six because the cooking sauce was so scrumptious. For main courses we had Grilled corn fed breast and halloumi cheese and Gyros grilled pork with pita bread and tzatziki. For corn fed chicken you had to choose side dish and we chose potatoes because vegetables included too much onions. The size of of halloumi cheese could have been bigger. Gyros in pocket bread is one of my favourites but it is also good at Minos. 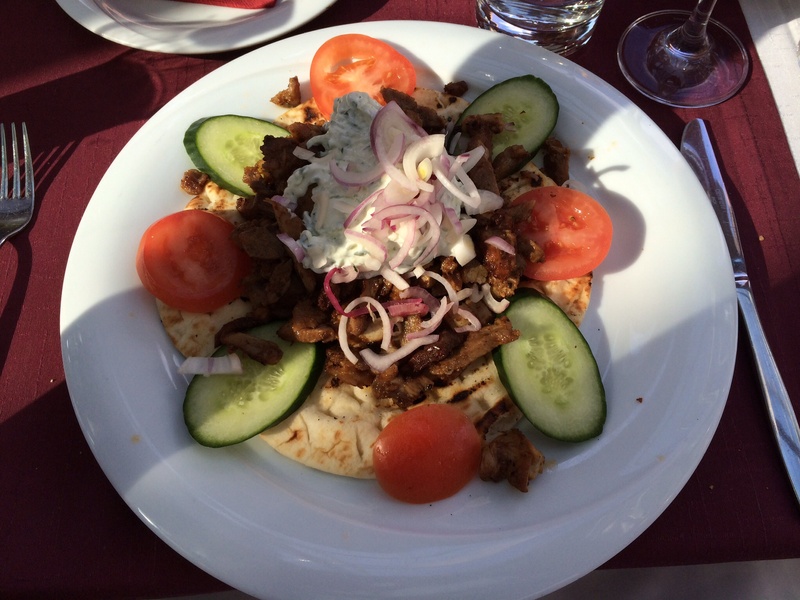 Of course pork is a little bit greasy but you do not eat gyros every day, do you? 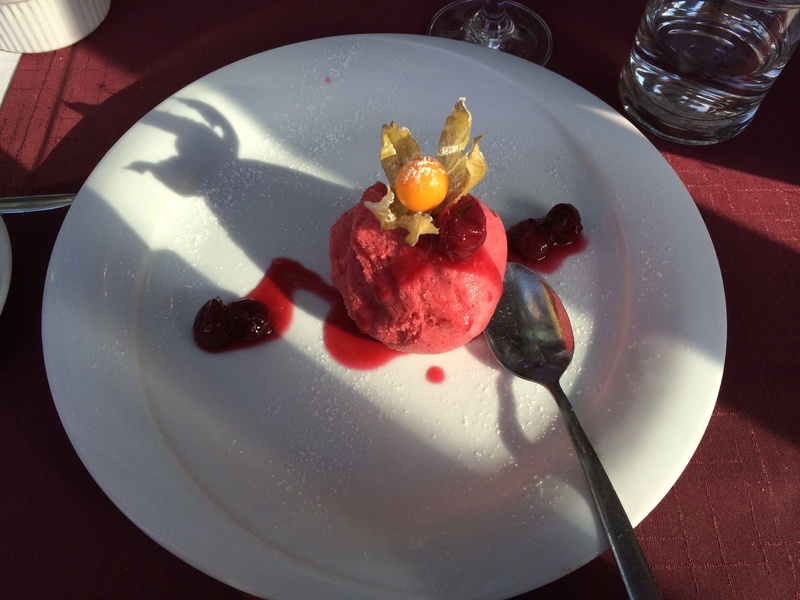 And for dessert Your choice of hand made ice cream, vanilla, chocolate truffle or raspberry sorbet with cherry or chocolate sauce. Sorbet was excellent, not frostwork which meant that it had been prepared at the restaurant kitchen. With food we had Greek white wine 2009 Petra, Kir-Yanni. 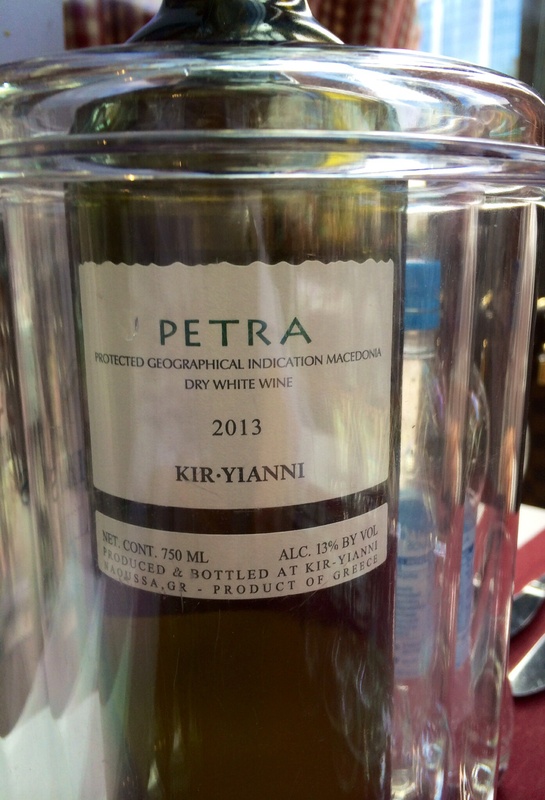 Wine list lets you understand Petra is from 2009 but it’s vintage was 2013. Wonder why restaurant does not take the vintage away because it does not mean so much when it comes to Greek wines? 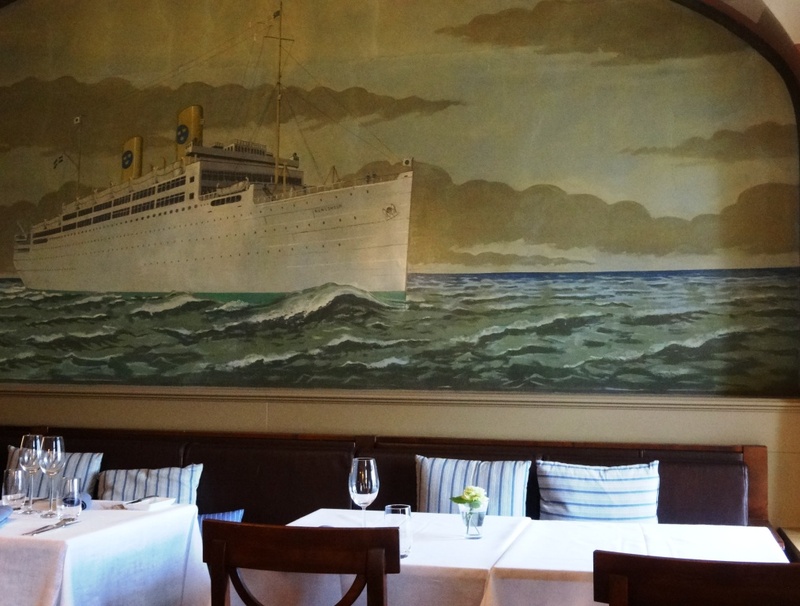 Minos is one of our favourite restaurants in Helsinki for meny reasons. We like Greek food and Minos prepares it well. All waiters and waitresses have Greek background and it is nice to hear them speaking their mother language. And dining at terrace, either under glass roof our outside is always pleasure. Therefore overall grade is high. Note that restaurant is not open on Sundays. 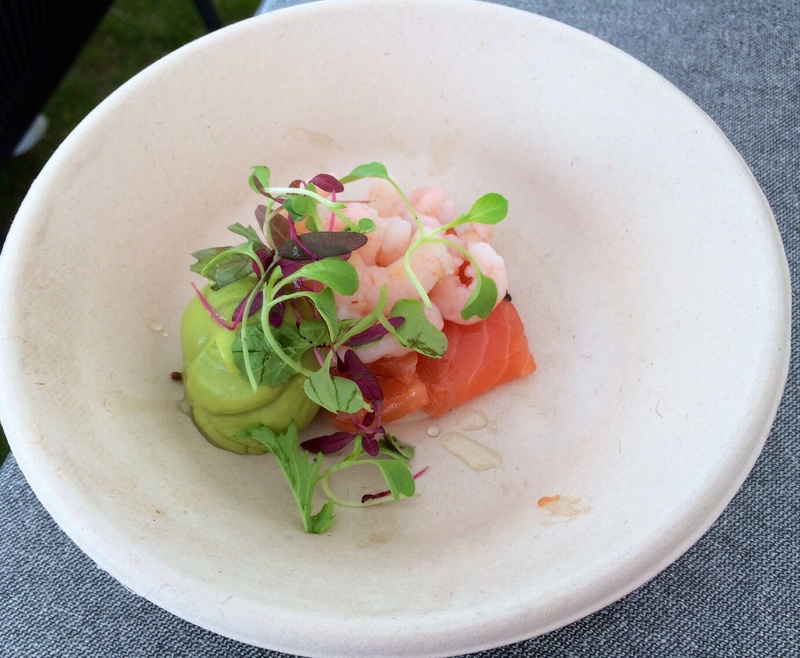 Restaurant Havis used to specialize only in seasonal Finnish and Scandinavian seafood. Restaurant consists of three different dining room styles. Dining room Havis looks as historic as building restaurant is located. Reserved window table from this room. 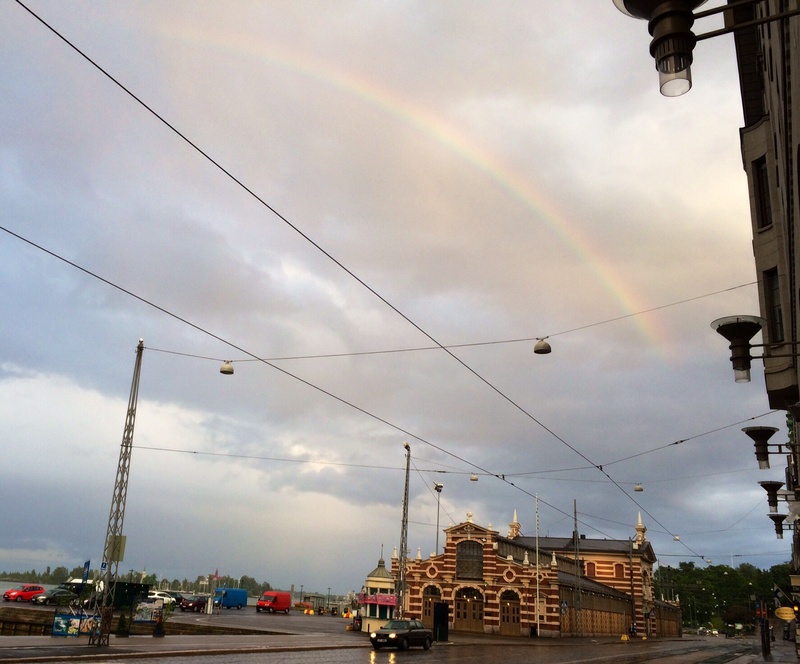 One can see new Finnar SkyWheel at Katajanokka and old Market Hall through the windows. Vanha Kauppahalli was re-opened on the 9th June 2014 after being renovated almost 2 years. Dining room Kitchen includes open-plan kitchen and dining room Terrace is more relaxed sheltered patio which might be cold depending on weather. You can not call Havis fish restaurant any more, because it serves also hamburgers and caesar salads. Wider menu might be due to hotel Haven, which is a member of Small Luxury Hotel of the World. Hotel Haven is part of the same Royal Ravintolat Group as three restaurants in the same building including Havis. 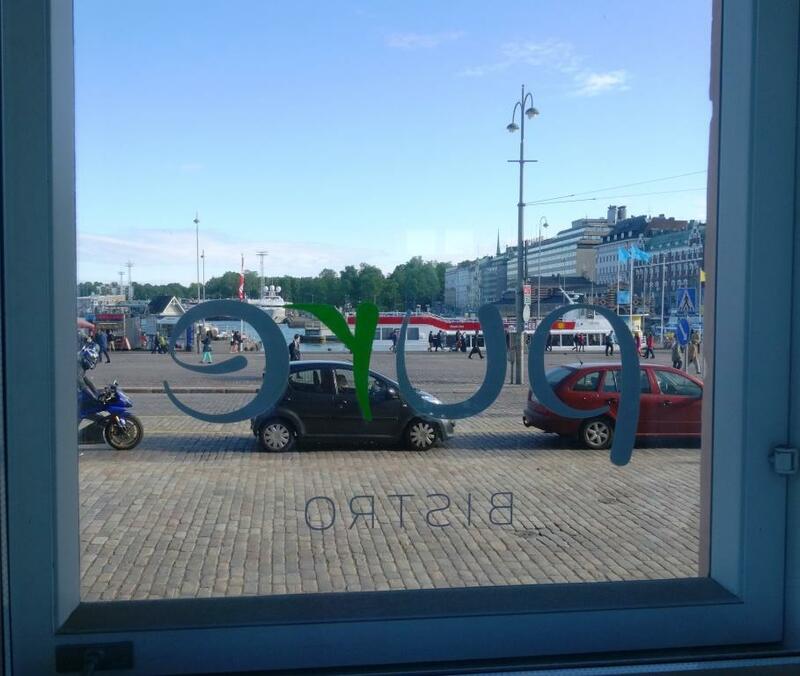 Midsummer is quiet period in Helsinki and most restaurants are closed. Partly because of this, restaurant was full of mainly tourists. 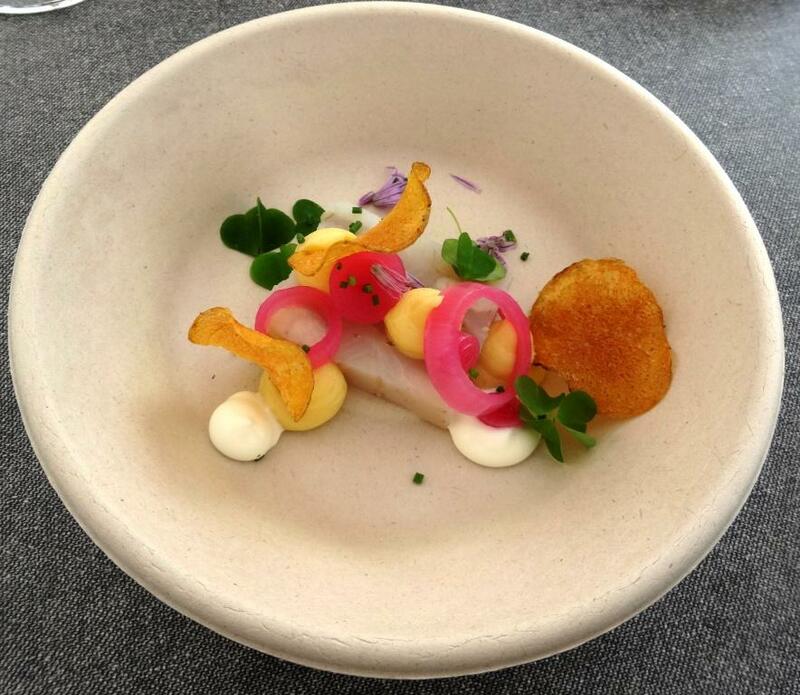 Havis had special Midsummer menu with only 2 starters, 2 main courses and 2 desserts. Almost cancelled reservation when noticed that but luckily decided to keep the reservation. We got the table we had requested, first table on the right by the window next to the entrance. Also all portions were lactose free which is still really rare. We tried all portions. 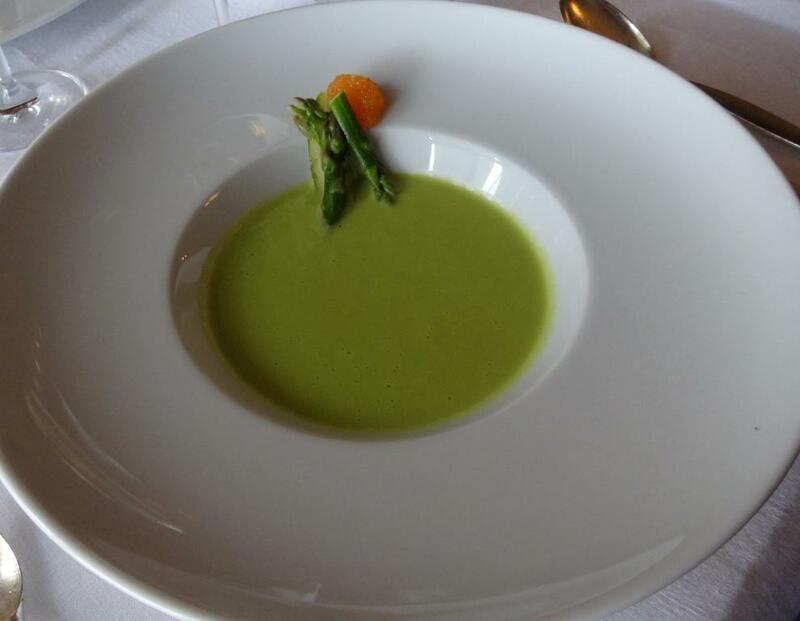 Asparagus tasted enough and structure of the soup was perfect. Green asparagus was properly cooked, not too much. 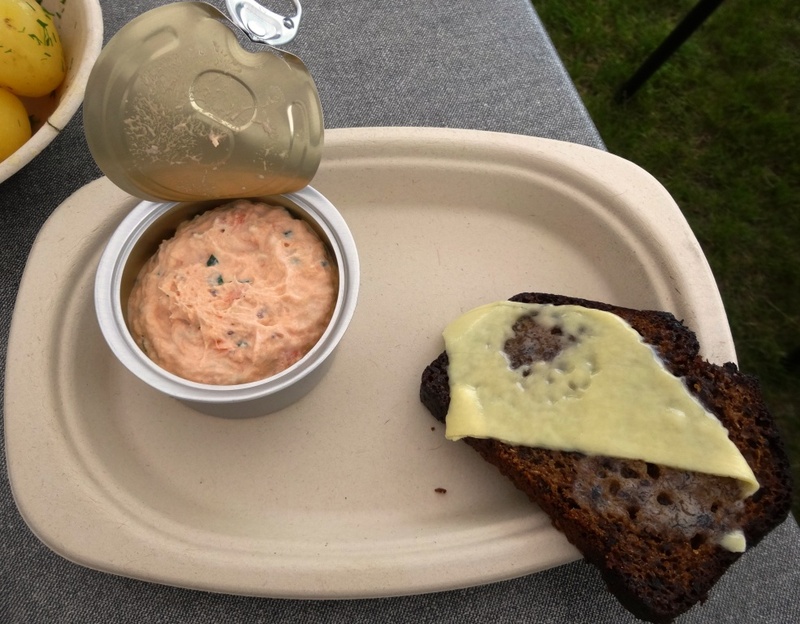 Cold fishplate included herring, baltic herring, smoked fish mousse, salmon tartar and white fish roe. 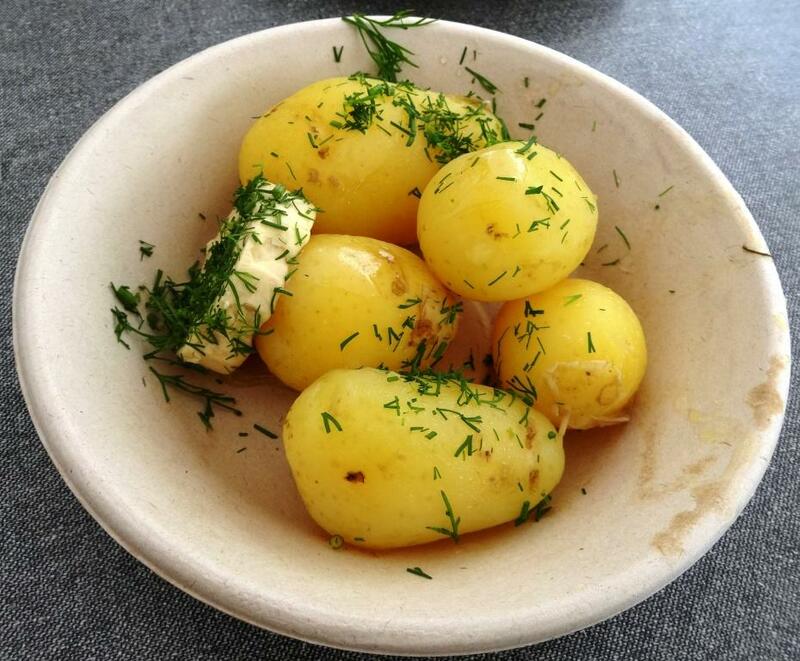 Excellent assortment of Finnish fishes accompanied with new potatoes with butter and dill. 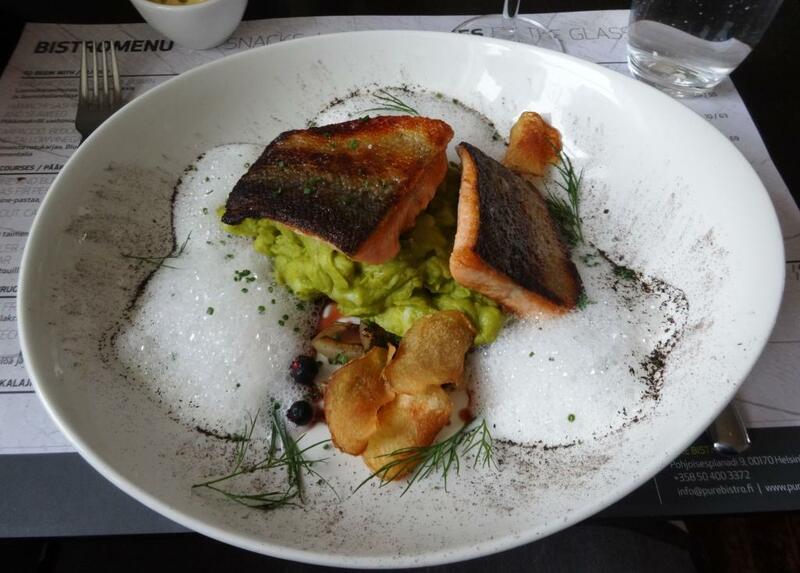 Arctic char is rare fish at the restaurants which made this portion special. Summer vegetables were baby carrot, peas, green asparagus, early cabbage, potatoes, radish and cauliflower. 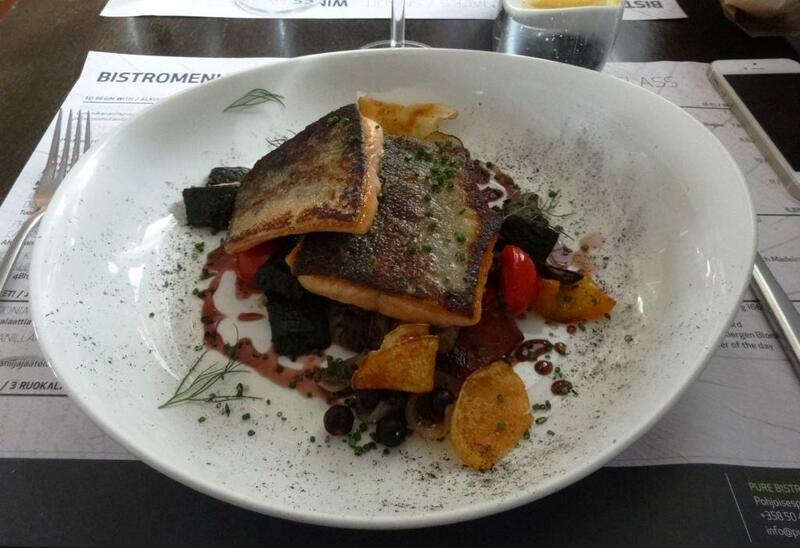 For tourists good chance to taste fresh Finnish vegetables on one plate. Roasting time had been consummate but unfortunately meat included parts which were chewy. Cassoulet and sauce paired well with meat as well as glass of Capitel San Rocco Valpolicella Superiore Ripasso. Wine had suitable amount of tannins but was also round at the same time. First of all thanks to our waiter who wrote down the names of cheeses because have to try to find Klosterkäse from Austria from supermarkets because it was really tasty. 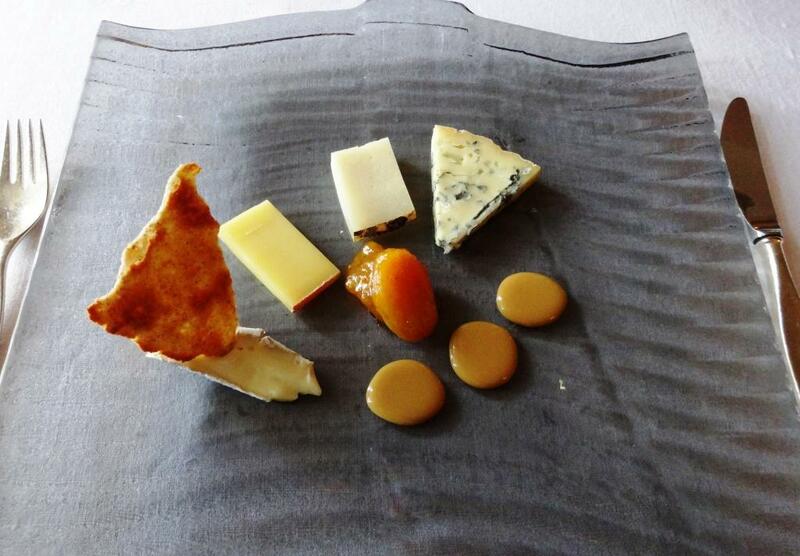 Other cheeses were Fourme Dambert from France, Capratraminer from Italy and Brie de Meaux from France which is always unbeatable white cheese. Wonder why Havis does not serve Finnish cheeses? Dessert without lactose but includes milk, well done Havis! We had for white wine Prinz von Hessen Classic Riesling which paired well with starters and arctic char. Dry and enough minerals and acidity, not too dominant but complementary. The old ship on the back end wall was heading to …..? Roasted beef lowered a little bit the food points but otherwise dinner was delicious. Especially using lactose free milk products is big plus. Overall grade is high because it is great that Havis is open on Midsummer’s Eve and we got exactly the table we had been requested when making on-line reservation. Typical Finnish summer weather forecast: “If it does not rain, it is cloudy or sunny. Sometimes or usually all three at the same time”. First of all big thanks to Taste of Helsinki founder Barry MacNamara for organizing ticket change from Friday to Saturday and inviting us to opening ceremony for invited guests. Due to work obligations outside Finland we had to suspend the participation by one day and therefore could not either join the opening ceremony on Thursday. 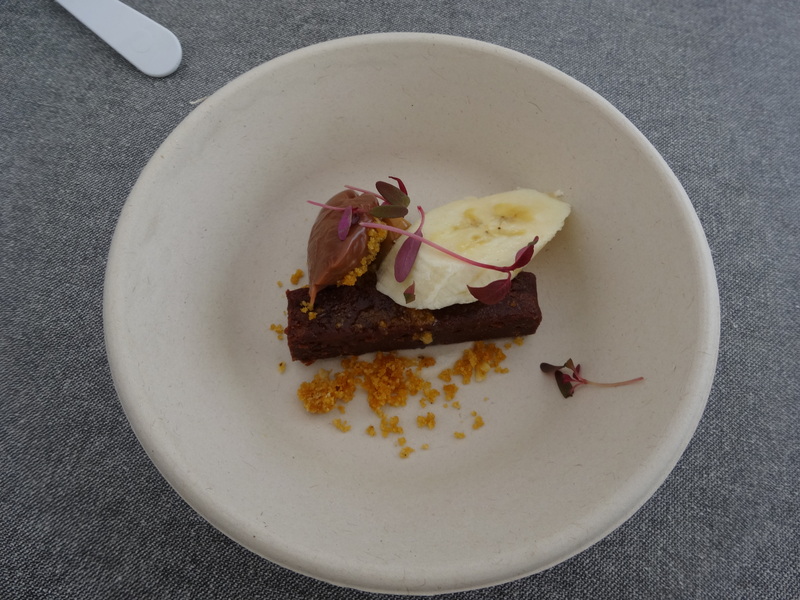 Taste of Helsinki is a culinary festival, which takes you on a journey through the gourmet flavours of some of the best restaurants in Helsinki and Finland. 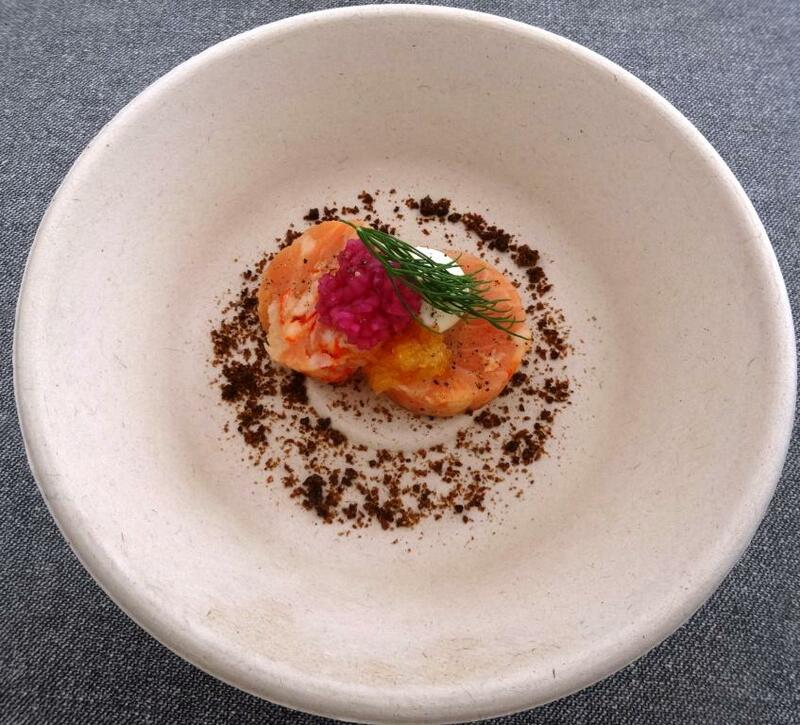 It is also unique chance to get familiar with fine dining restaurants at the same time without paying high prices for gourmet food. We participated third time, the same number of times the event has been organized. This year the weather has been typical Finnish summer, rainy and cold. Challenging for outdoor events. 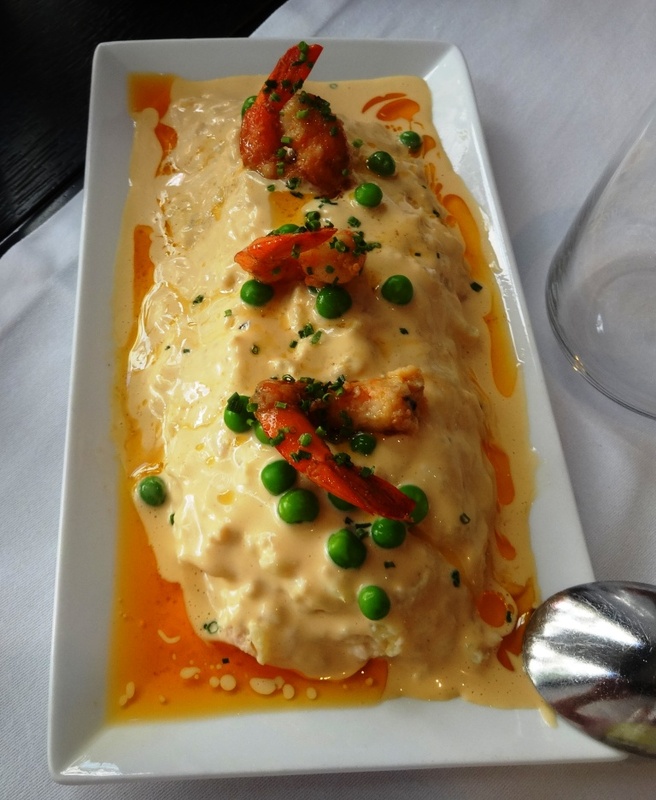 Below you can find pictures with comments of some of the best small dishes restaurants served. Plan was also to taste Oscar Hot Dog with veal, asparagus, and giant prawn from Kaartin Hodari & Hummeri, but the queue was so long all time. In the cold wind it was more convenient to stay sheltered from it. 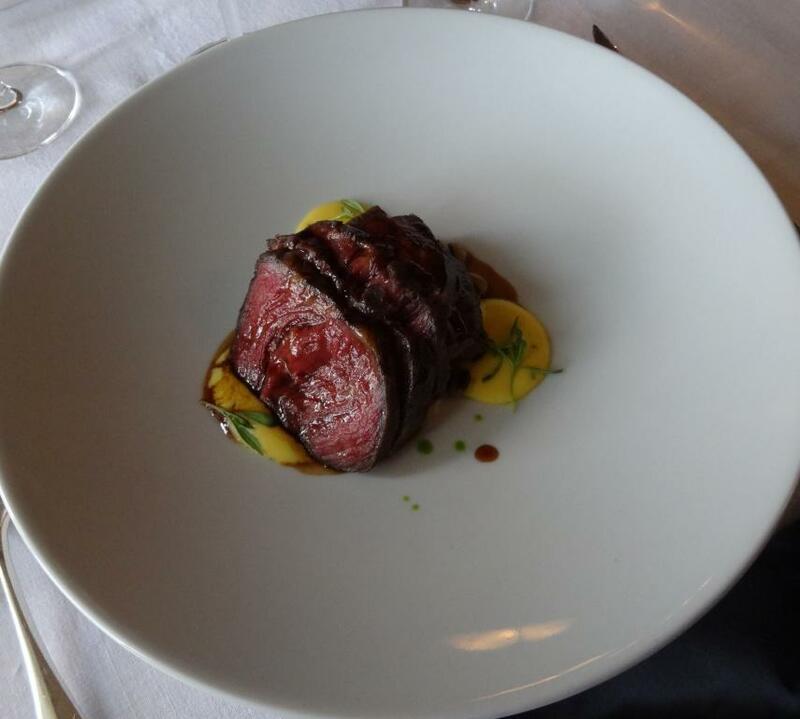 To summarize, all tasted portions were impressive which can be seen from the points. I really hope that there will be 4th Taste of Helsinki because plan is to visit there twice. Quite difficult to try all portions at the same day. Also have to taste olive oils which were available at the fair. And wines, Kung Fu Girl Riesling and Miss Harry, paired well with dishes tasted. Vindirekt, the importer of these wines, made also best offers for glass of wine. Event itself gets 5-/5 points and only cold weather was the reason for not giving 5. With sun shine it would have been 5+/5. There will be separate post about champagne Taittinger tasting later. 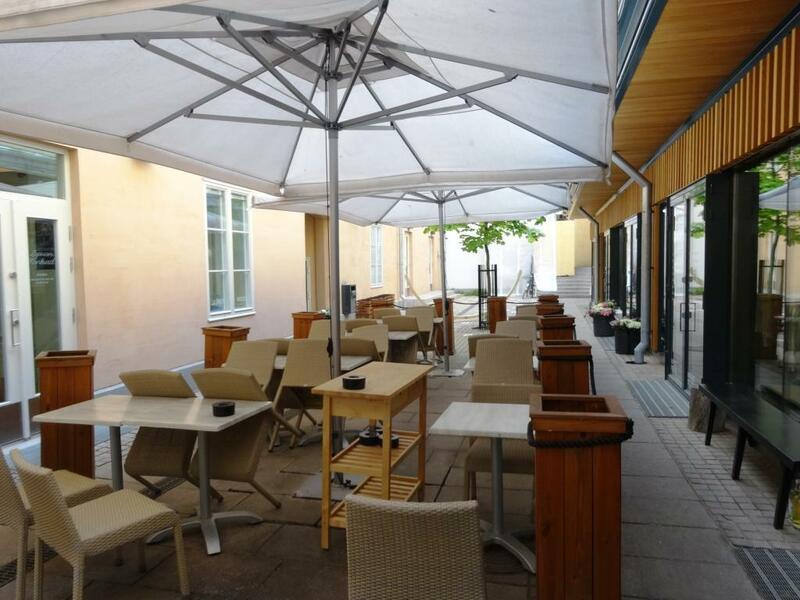 PureBistro is a modern bistro and bar with two terraces next to the Market Square in Torikorttelit buildings. 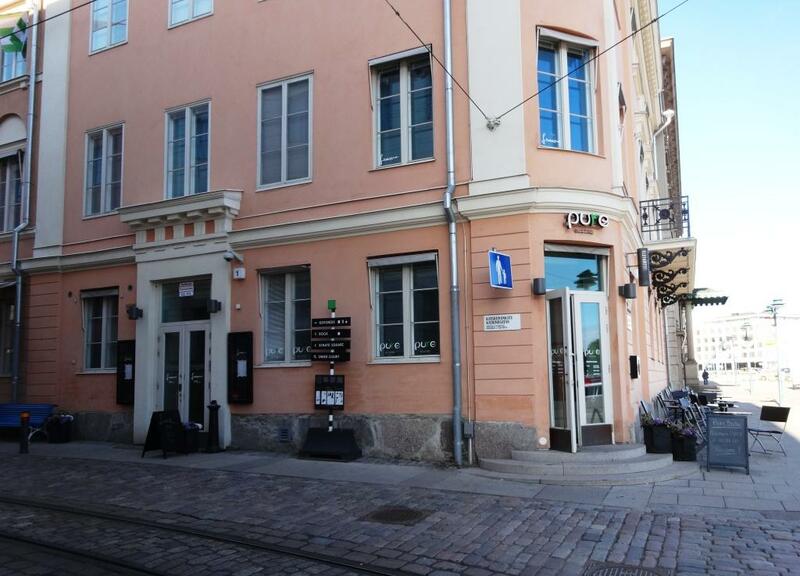 Restaurant is owned by Michelin star restaurant Luomo (on the 2nd floor) chef”s Jouni Toivanen and Mika Mattila. That explains partly why PureBistro is one of the five Michelin Bib Gourmand restaurants in Helsinki and earns to keep that status. Dining room at PureBistro is quite small and therefore in the summer time you might decide to dine outside, if temperature allows that, which it did not on the last day of May. 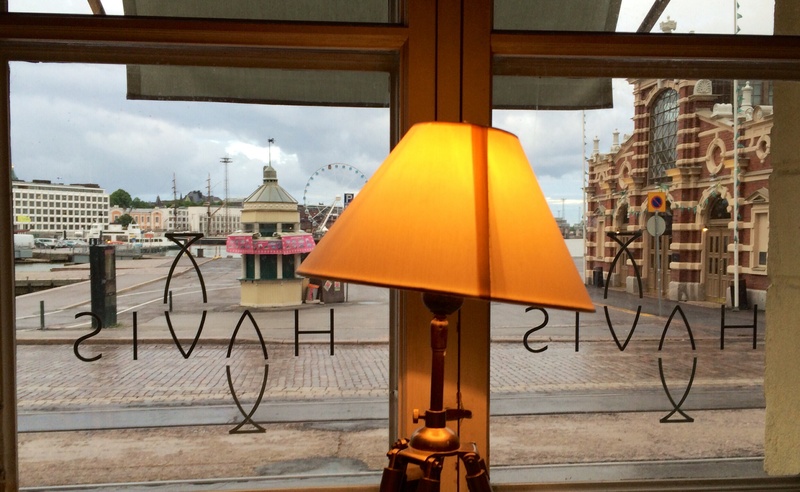 If you dine inside, ask for window table and you can enjoy sea view and observe bustle at the Market Square. That is exactly whatwe did. Menu is short – 3 starters, 3 main courses and 2 desserts. 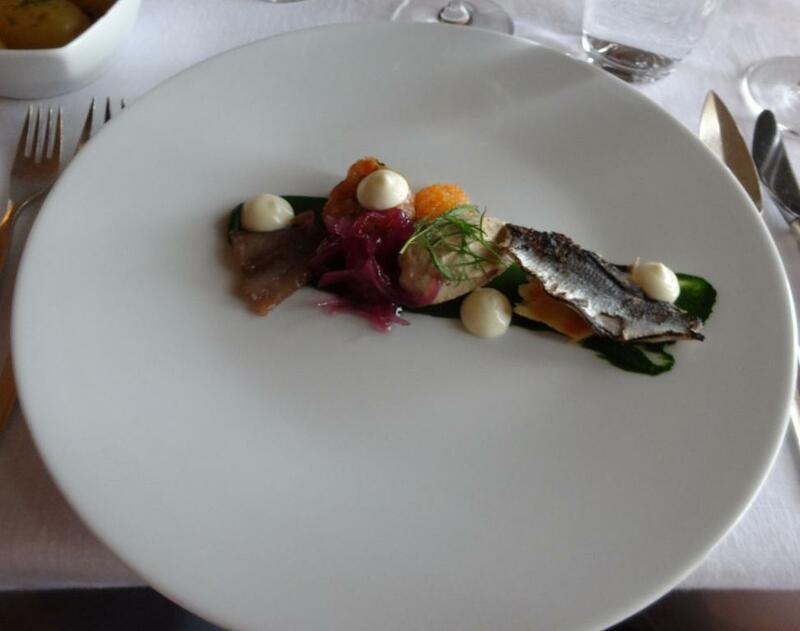 If you choose 3 course dinner, the price is 45€. One option is to have drink at the bar and taste some small bites, in Finnish Snadit. As English and Finnish versions of the names of the portions are not exactly the same, I included both language versions. 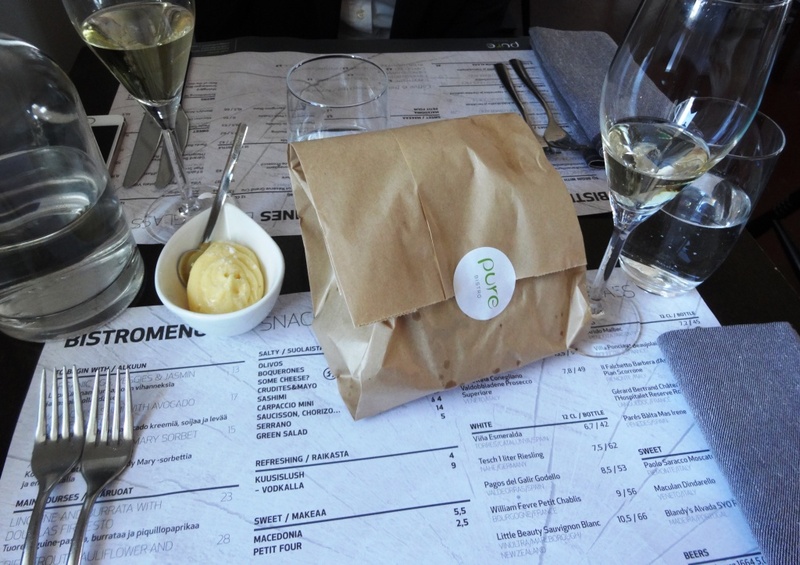 After placing order customers will get fresh bread paper bag on the table. Starters we ordered had fancy names; Hamashi Sashimi with Avocado & Seaweed Piikkimakrillisashimia, avokadokreemiä, soijaa ja levää and Carpaccio, Bloody Mary Sorbet & Tallowvinegar Kotimaista rotukarjaa, bloody mary sorbet ja emmentalia. Sashimi was fresh and side dishes accompanied fish in oriental portion well. Lack of salt was only minus. 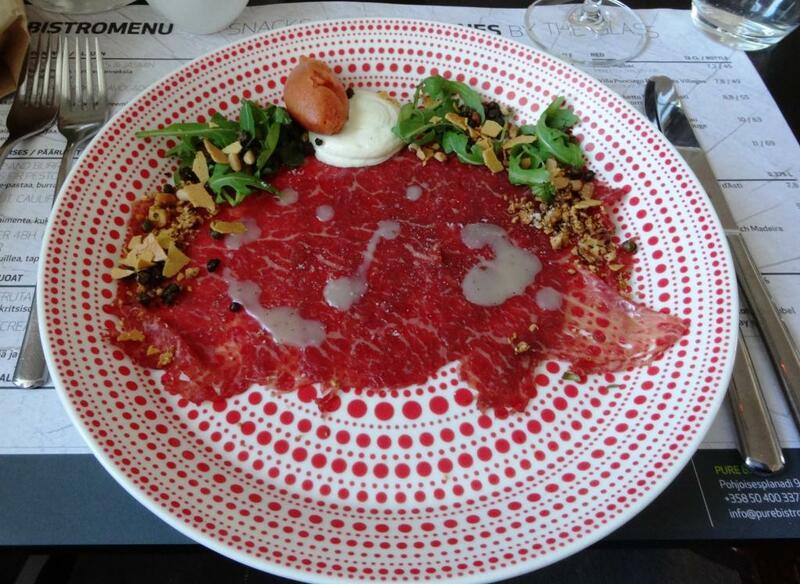 Beef carpaccio was so soft that it could have eaten with spoon. 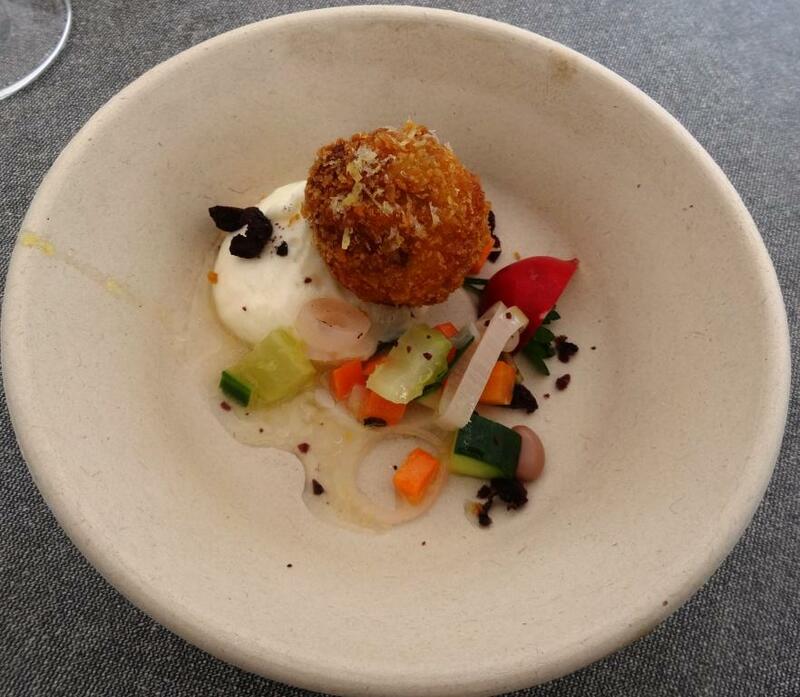 I am not sure if kitchen tried to create picture of hedgehog on the plate, but portion looked like it. For main courses we had two times Fried Trout, Cauliflower & Cassis Ahvenanmaan taimenta, kukkakaalia ja herukkaa but requested some changes to one of them. Restaurant created excellent version of this portion by replacing cauliflower with ratatouille. Trout itself was perfectly fried, you could also eat fish skin as it was enough crispy. And what is most important, fish was not over-fried which happens too often also in so called good restaurants. For desserts ordered Tosca, VanillaIceCream & MilkXoco Toscakakkua, vaniljajäätelöä ja maitosuklaata and “Macedonia De Frutas” Liqourice “Hedelmäsalaattia” ja lakritsisorbettia. Tosca cake was scrumptious. Amount of toffee sauce was maybe too much, but had to eat all of it anyway. 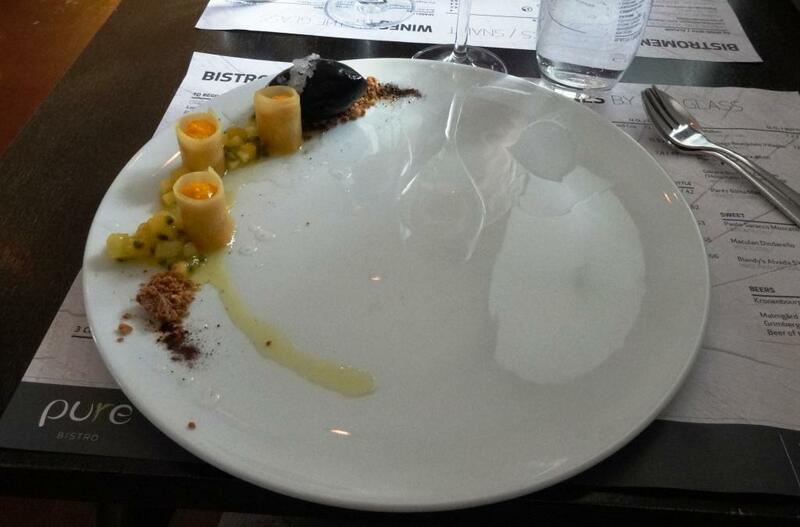 Take a look at how fruits and sorbet was placed on the plate! PureBistro really has an artist in the kitchen, remember the hedgehog. 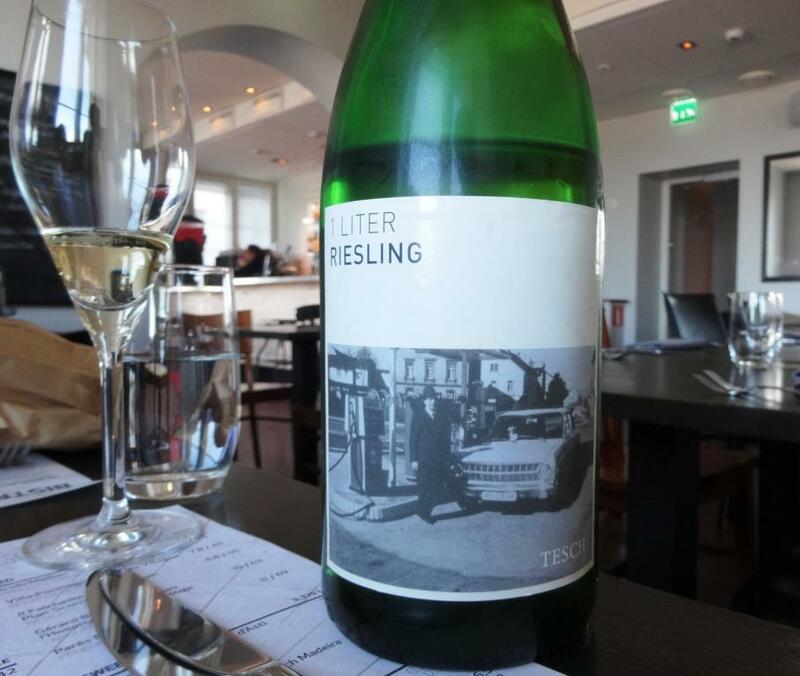 Had to order bottle of Tesch 1 Liter Riesling for two reasons; riesling weeks with special menus had just ended but Tesch riesling was still available and the unsual size of the bottle (1 liter) is rare apparition. Wine paired well with all dishes we had; well, maybe not with desserts. Dry, about 6 g/l sugar if I remember right what waitress told, and balanced acidity and minerality. As we got window table, overall grade is 4,5. Propably next time we shall dine at the terrace; waiting for warmer summer days….Service is in balance with kitchen’s creativeness and skills. 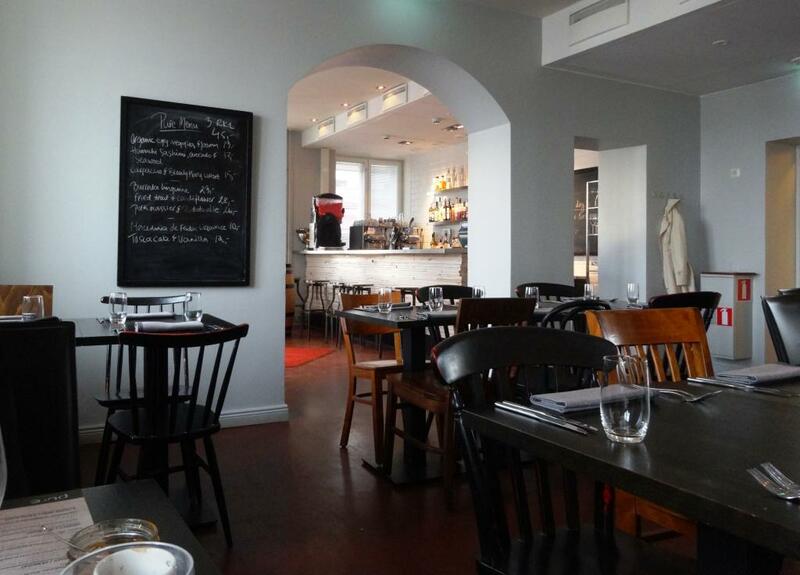 PureBistro is genuine Michelin Bib Gourmand restaurant and actually one of the first fine dining bistro type of restaurants in Helsinki. 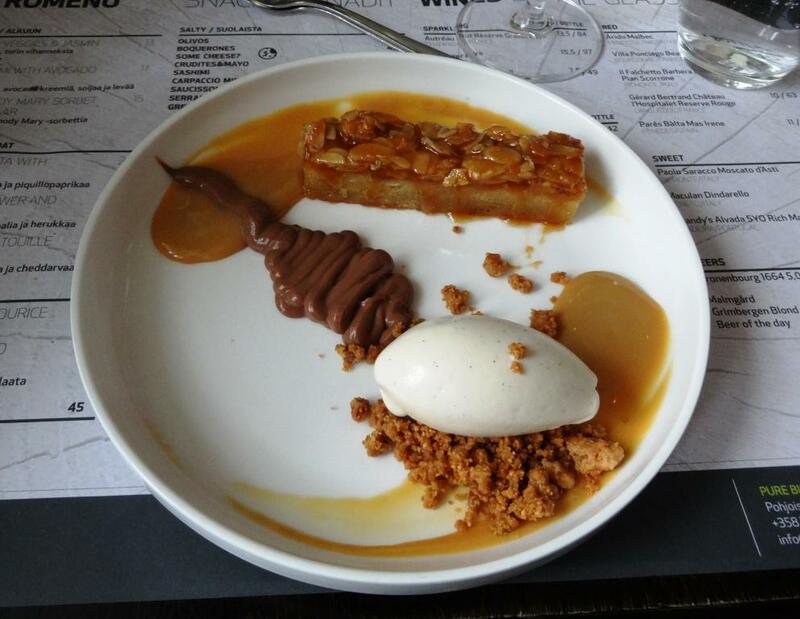 Nowadays there are several sophisticated bistro restaurants close to each other, like Gastrobar Emo, Gastropub Rikhard’s, Spis and Copa’s y Tapas. 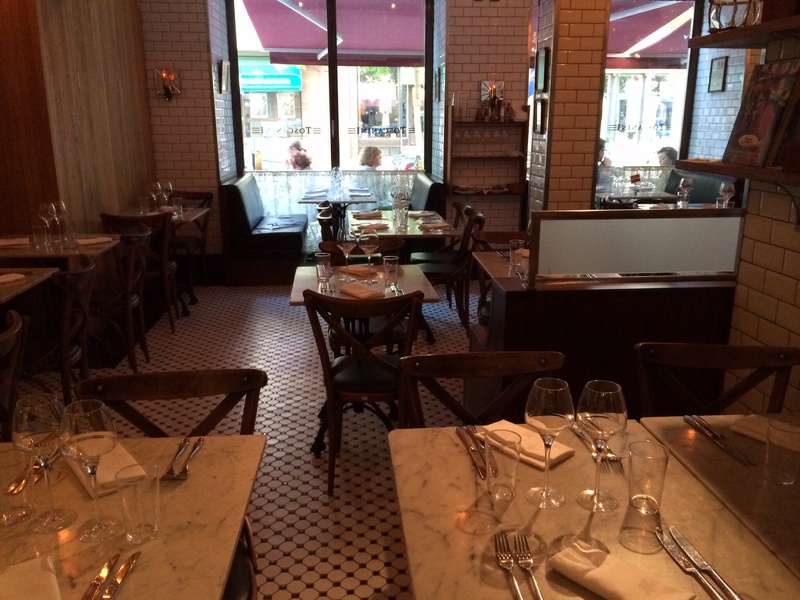 Reviews of there restaurants can be found by using search. 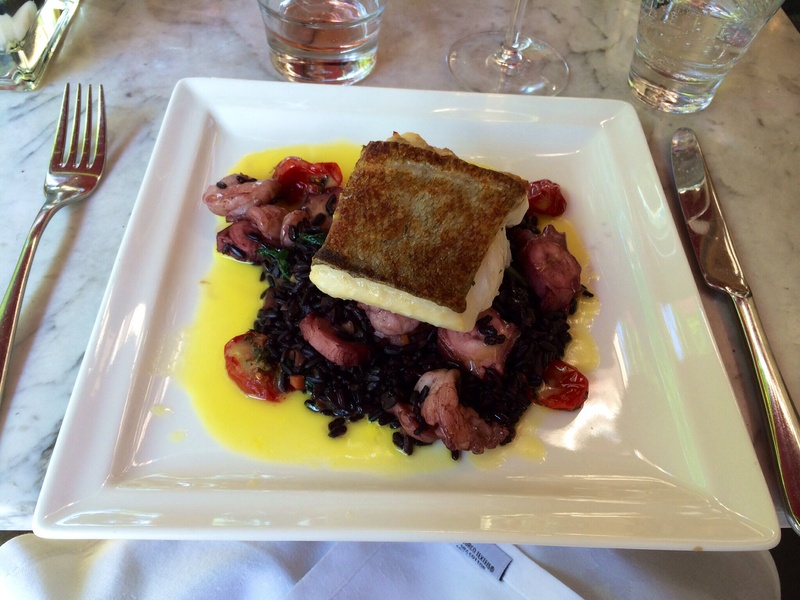 Also previous PureBistro reviews can be found the same way. El café de Bolsa is located at hotel Molina Lario serving hotel guests with breakfast, lunch or dinner. It has two different atmospheres: an interior space and an exterior courtyard. 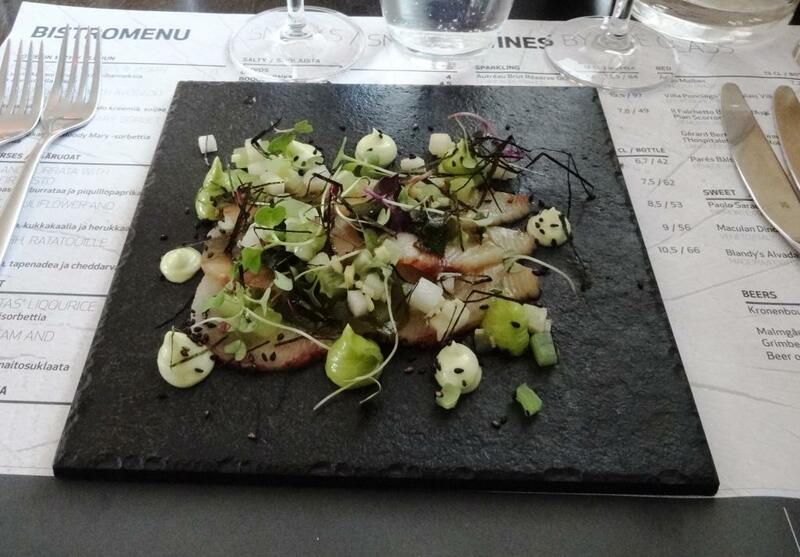 In both spaces you can taste Spanish cuisine, modern and up-to-date with Andalousian roots. We had breakfast each morning at the restaurant, but also tried lunch in order to evaluate it better. We were only ones having lunch at dining room, couple people seemed to eat something at patio. 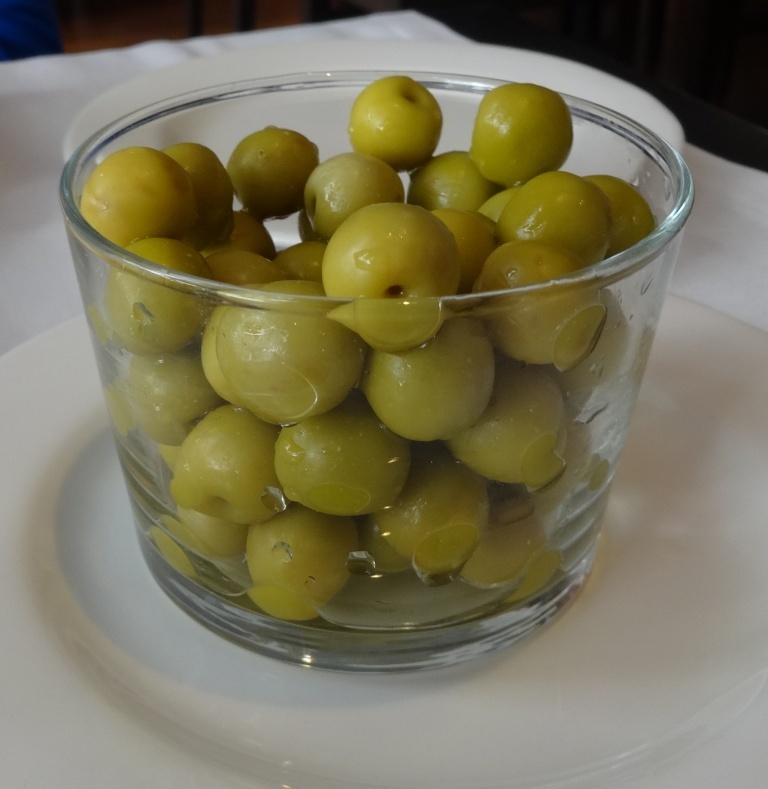 Promising start was small delicious green olives which were brought to the table. Unfortunately this was the best part of visit. Our intention was to try 3-4 different half portion starters/tapas. We chose four but after placing the order waiter seem to be apalled and said loud “That is too much!”. Well, if that would be too much (of course we would not have emptied all plates), then we should have to settle for two. We ordered Potato salad with “pil pil” prawns and maynonnese and Iberian serrano ham croquettes with marinated onions. Potato salad was greasy and seemed to have extra oil. Prawns were soft which meant that they were not enough fresh. 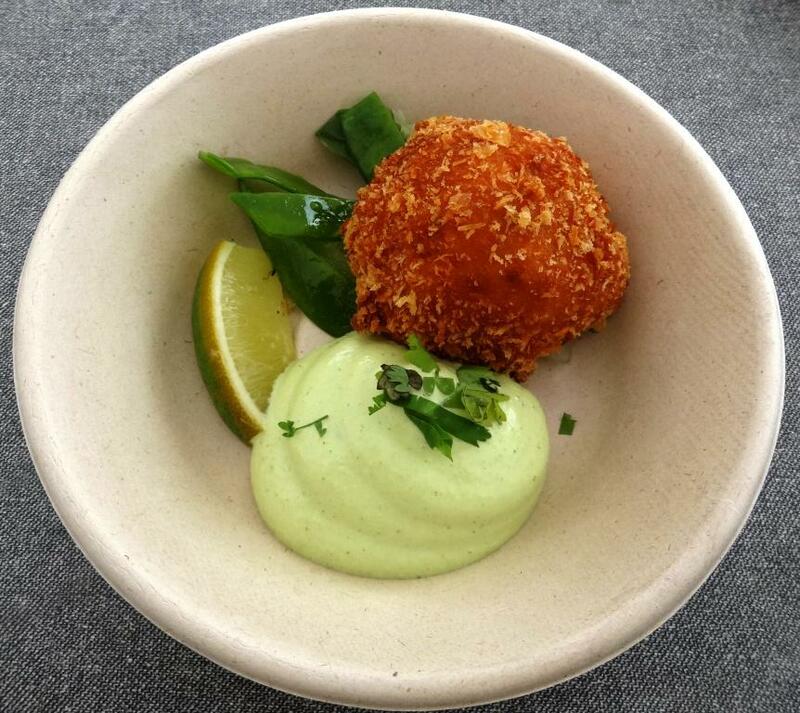 Second best part of the lunch were croquettes, they actually were tasty. 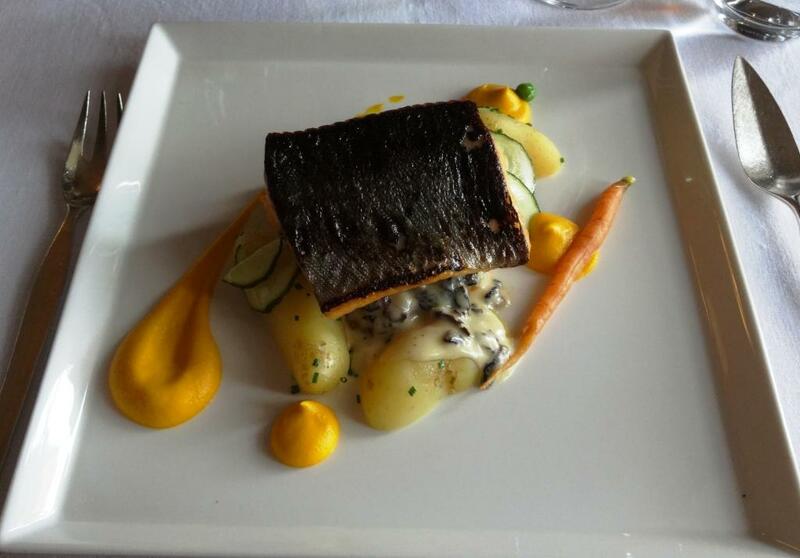 Four main courses had Sea bass with small dried tomatoes served with lemon and thyme sauce and Beef tenderloin, potato and vegetable cake, mushrooms and foie gras sauce. Fish was over cooked and portion included too much sauce. Beef was dry, almost well-done although asked medium. Side dishes were not so palatable as name of the portion let you imagine. El Cafe de Bolsa tries to serve also customers who do not stay at the hotel, it even has own web site. However, it is difficult to develop kitchen for other purposes than breakfast and business usage, if you do not have enough customers providing feedback. 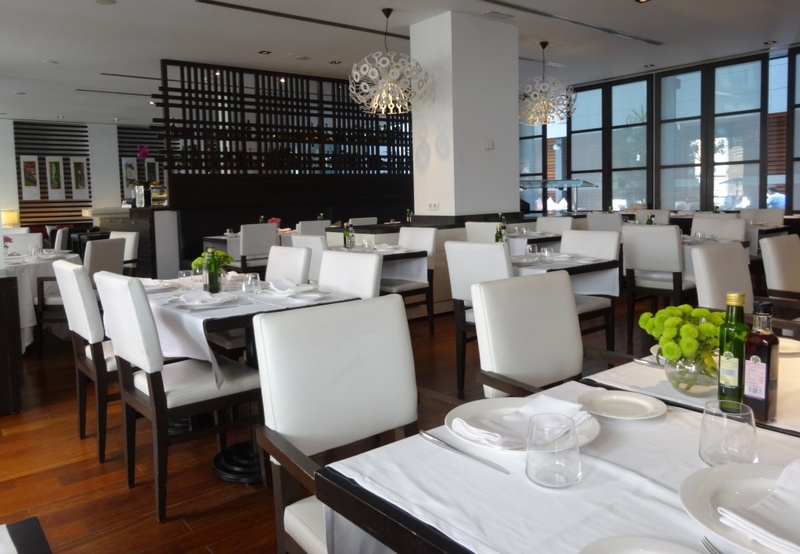 Modern interior, delicious breakfast and hotel itself raises overall grade. 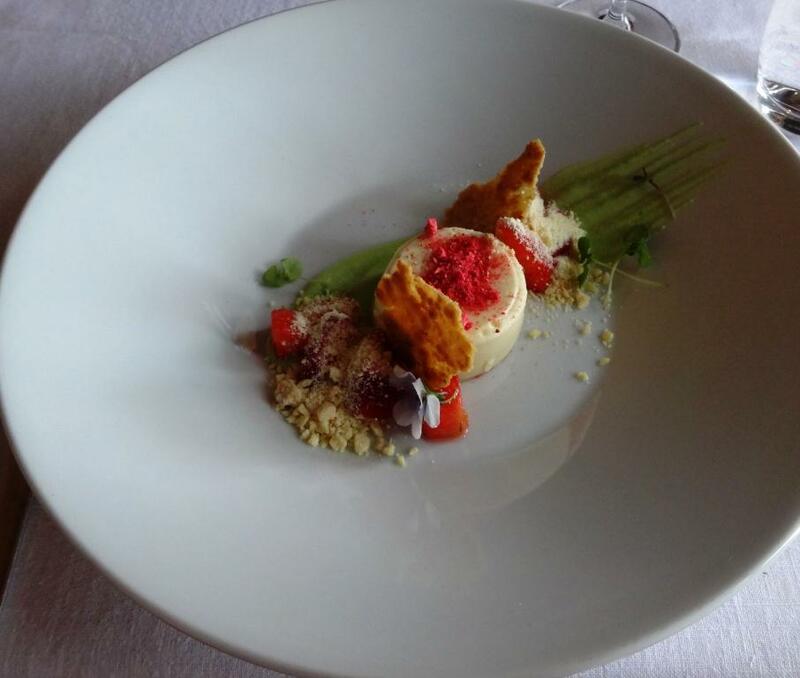 Restaurant Toscanini has received its relaxed atmosphere from Tuscany, Italy. Menu is based on essential elements of Italian kitchen, such as olive oil, herbs, tomatoes and Tuscan cheeses and cold cuts. In addition, bread is baked daily by restaurants own baker, or is it? Location is perfect, almost opposite of Svenska Teatern and Stockmann. Famous BW- restaurants, Gaijin and Boulevard Social are neighbors. Being part of Klaus K hotel means that many of the dining customers also enjoy luxorious hotel premises. Design hotel with white decoration in the lobby. Klaus K and it’s restaurants were recently acquired by Kämp Group which might have been the reason for lame service. Because of excellent weather we had late lunch at the terrace. No one wants to eat in as you can see from the picture above. 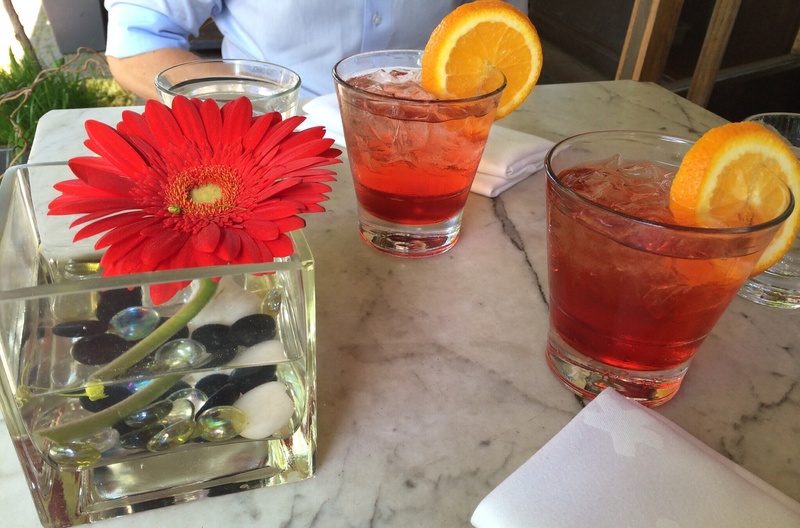 Started lunch with Campari Sodas which is always appropriate way to lead to the right mood. 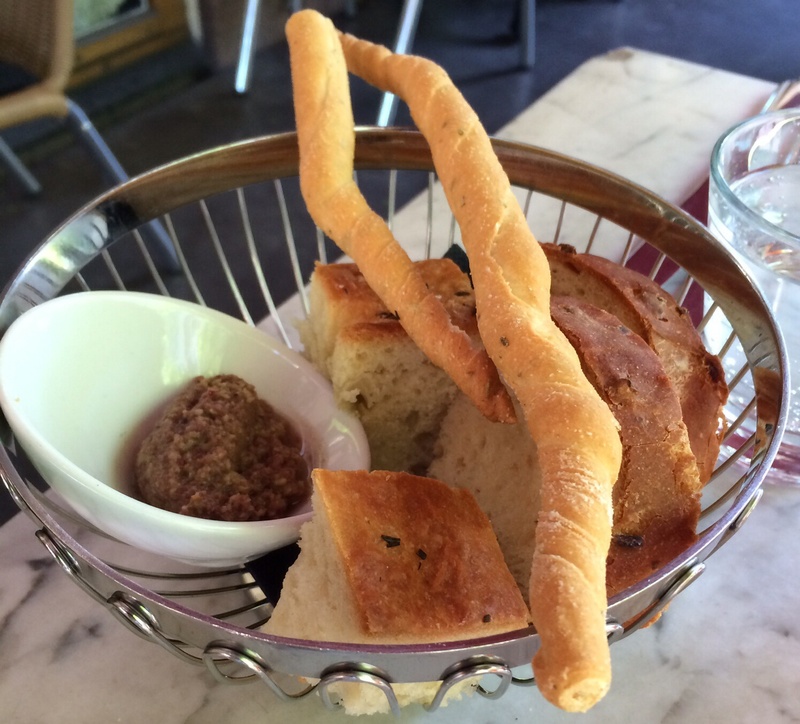 Bread basket came right away after ordering; foccaccia was not as fresh as it should have been, but tapenade was delicious. Lunch started with Antipasto variety for two including two type of salami’s, parmesan cheese, small olives, artichokes, grilled sweet peppers and mushrooms. If restaurant is Italian, it can not flop in serving traditional Italian starters. Nor did Toscanini. 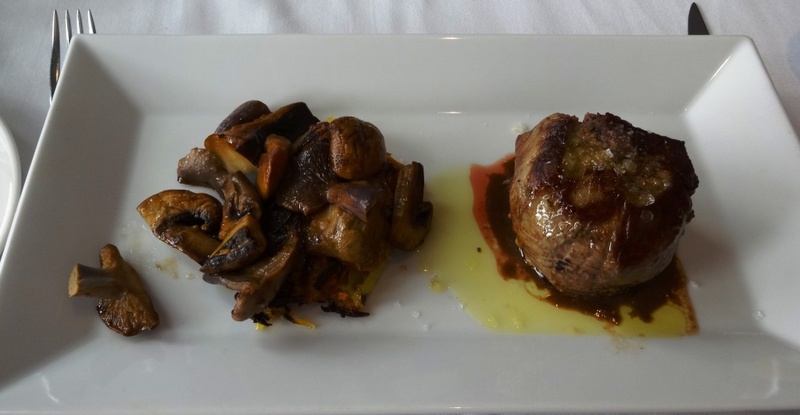 Everything on the plate was perfect, fresh and you could imagine to be in Tuscany. 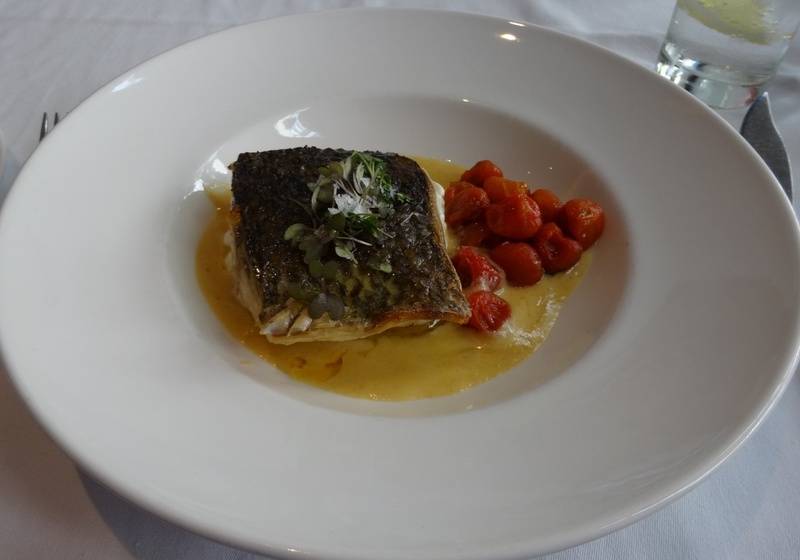 For main courses we had Sautéed fillet of cod with seafood flavoured Nerone rice and Braised lamb neck with fried lemon polenta and Marsala sauce. Unfortunately these portions brought us back to Helsinki and Bulevardi. Cod was way too much over-salted but shrimps and octopus pieces in rice compensated a little bit. 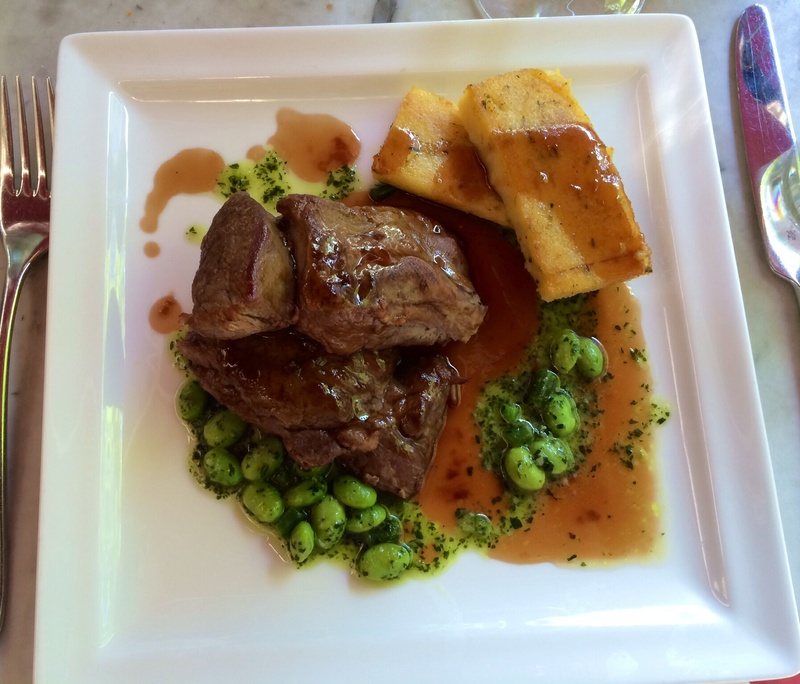 Lamb was tender but dry and it seemed that salt had been completely forgotten. Wonder if polenta had been prepared at the restaurant kitchen, because it tasted and felt like industrialized product? Service was this time the weakest link. We have been at Toscanini several times before, but now there were too many failures. 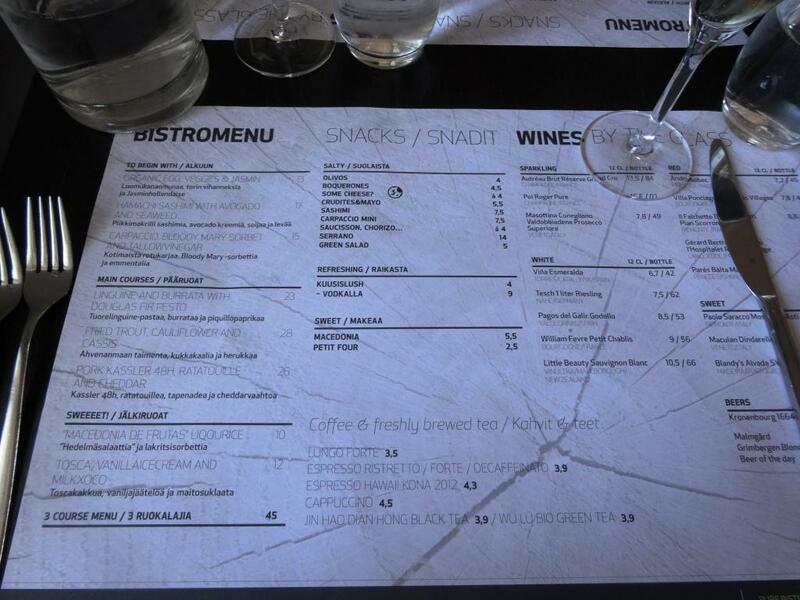 We had to order mineral water twice, had to remind waiter to bring wine glasses (soave and chianti of course) we had ordered and never got menu back again in order to be able choose desserts. 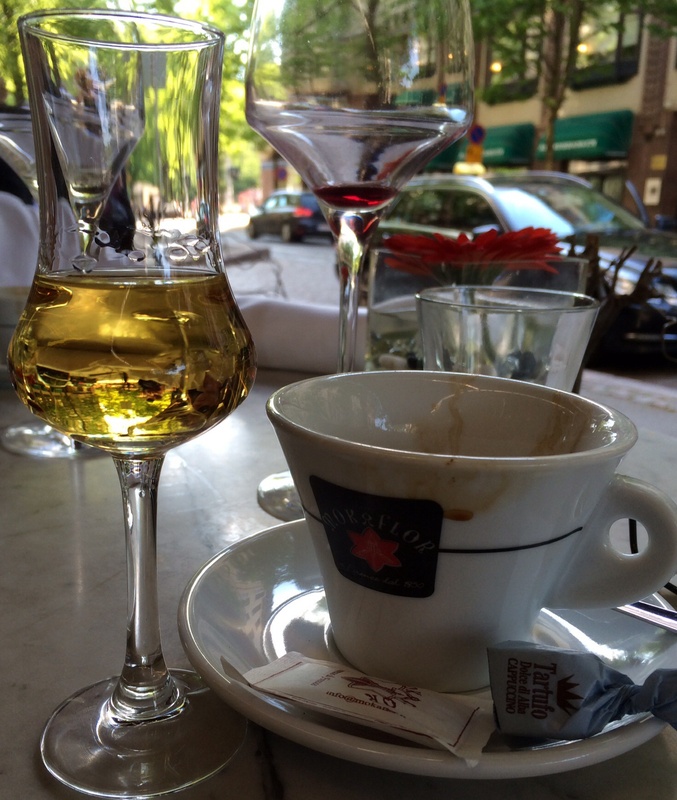 Therefore just ordered coffees and chardonnay grappa. As I wrote earlier company has new owner, which may have impacted to the service, if employees are worried about restaurant’s future. Toscanini used to participate in Taste of Helsinki, but not this year. Will miss tiramisu they have served there. 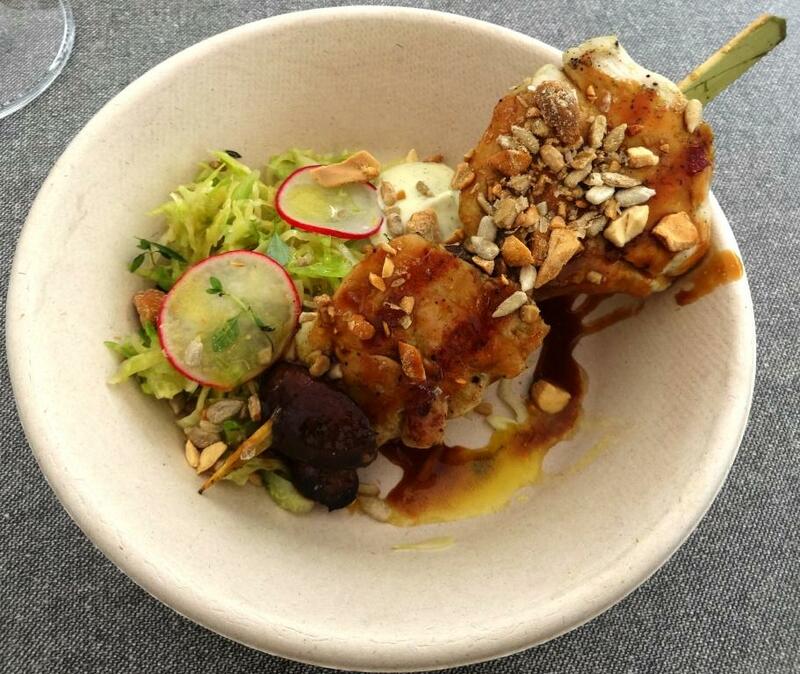 It is always great to eat outdoors, at nice terrace, therefore overall grade is higher.